Daylight Saving Time Spring Forward now arrives the second Sunday of every March. Fall Back has been switched from the last Sunday of October to the first Sunday of November. Daylight Saving Time began at 2 AM today, and will end on November 6th. The picture above of the Fifth Avenue Building street clock in the Flatiron District was taken with an Apple iPhone 4 using Camera+ App for processing. The two-faced, cast-iron street clock, installed in 1909 was made by Brooklyn’s Helca Iron Works. 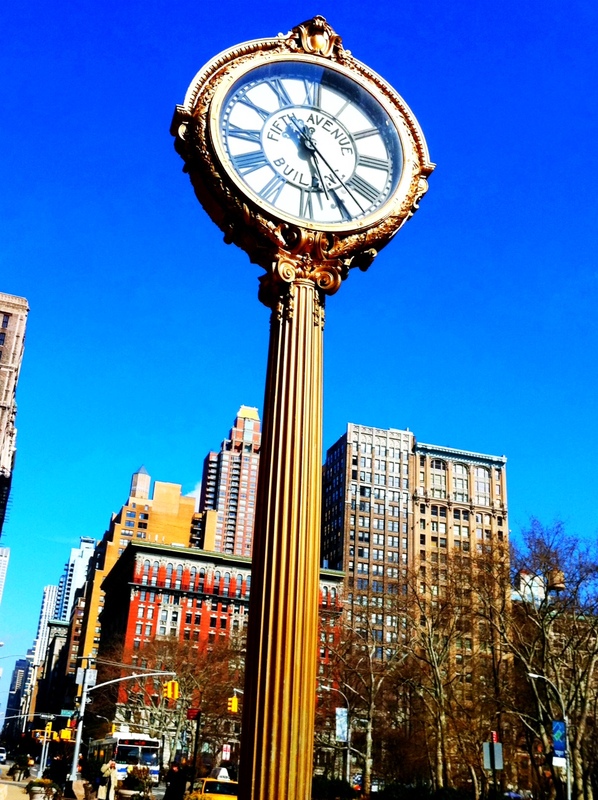 Introduced in the 1860's, these types of street clocks were utilized for advertising. 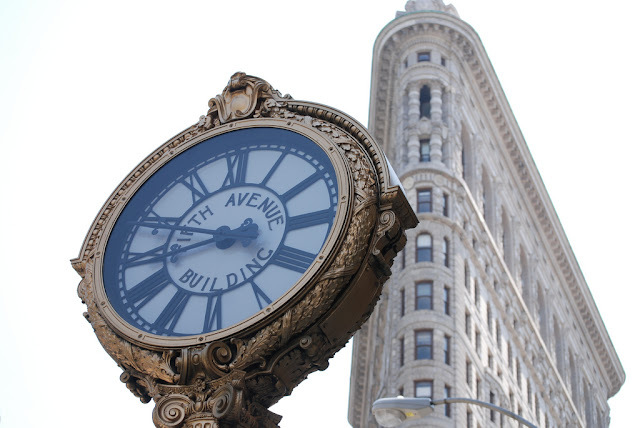 The Fifth Avenue Building Clock was designated a New York City Landmark in 1981. A previously posted photo is shown below. The image was captured in June 2009 with the Flatiron Building in the background.